We have a very cool show for you this month dedicated to cover versions of Rolling Stones songs. There are some old faves and a few things that might surprise you, so pull down the ones and zeroes and give it a listen. Today’s selection is one of my all-time favorite records. I first fell in love with the song ‘Shouldn’t Have Took More Than You Gave’ when I picked up the Traffic album ‘Welcome to the Canteen’ sometime in the late 70s. The album, which was originally released without the name ‘Traffic’ on the cover (choosing to list the musicians separately), was their first live album. It was composed of several Traffic tunes, a Spencer Davis Group cover, and two songs from Dave Mason’s (who was on the verge of leaving the band for good) first solo album. 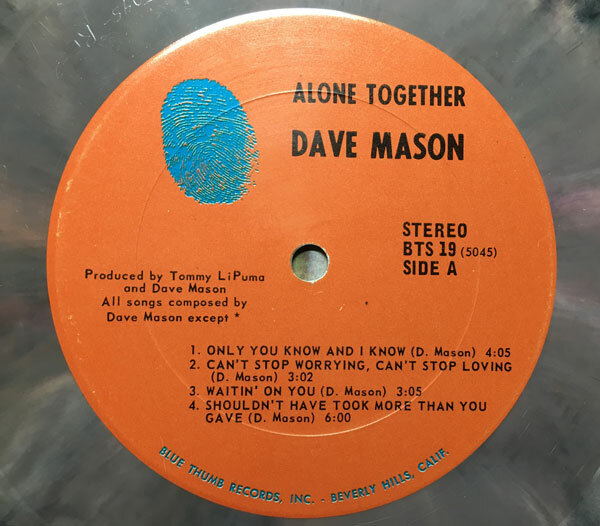 That album, ‘Alone Together’ was recorded in Los Angeles in 1970 with a collection of Mason’s friends, many of them coming from the Leon Russell/Delaney & Bonnie universe. ‘Shouldn’t Have Took More Than You Gave’ opens slowly with a guitar lick, followed by Russell’s piano, and a banjo doubling the guitar line. The tune has a uniquely mournful feel to it and Mason’s vocal and guitar are great. The rest of the album, featuring the equally excellent ‘Sad and Deep As You’ (which also appeared on ‘Welcome To the Canteen’) and the rock radio classic ‘Only You Know and I Know’ which was a hit for Mason, as well as Delaney and Bonnie the following year (it was rerecorded by a bunch of singers, including Rita Coolidge, who appears on this album). If you dig the sounds, keep an eye out for the album. If you get lucky you might find the version I have, with the weird marbled vinyl (see above) and the big fold-out cover. Here’s hoping that he new week finds you all well. The James Gang is one of those groups that I knew OF before I was familiar with any or their music. Joe Walsh’s pre-Eagles solo work was a major part of my teenaged/stoner listening, but it wasn’t until my early 20s that I was blown away by the JG’s version of ‘Stop’. 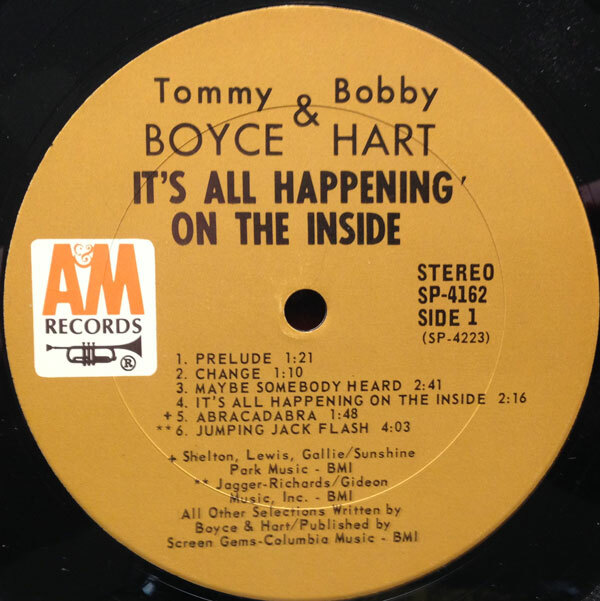 At that time (and for a few years afterward) I assumed that the song was an original, until one fine day, at a cookout of Mr Luther’s, what should I hear flowing from the stereo but Howard Tate’s original version of the song (as written and produced by Jerry Ragovoy). I was blown away by my introduction to Howard Tate (who would become a fave), and would find myself with more respect for the taste of Joe Walsh and his James Gang bandmates. It would be a few more years before I would get my hands on a copy of their debut LP, 1969’s ‘Y’er Album’. 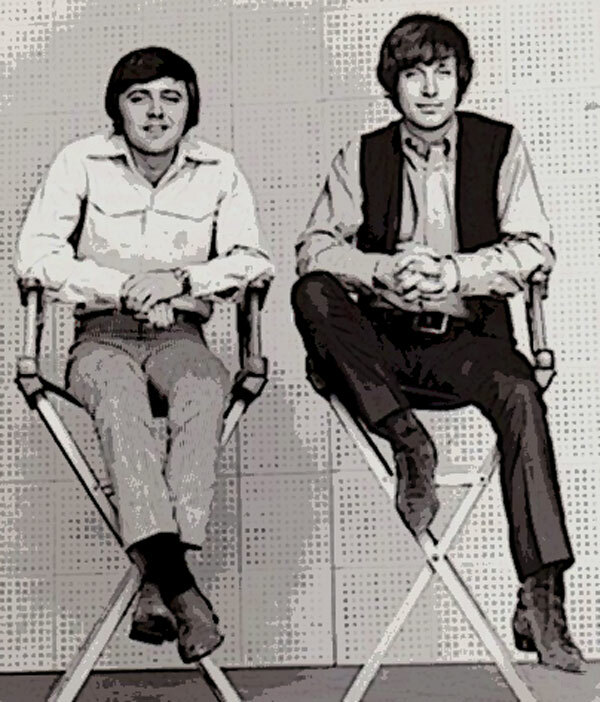 It was then that I discovered that they had not only covered Howard Tate, but also the Yardbirds ‘Lost Woman’ as well as one of my all-time favorite Buffalo Springfield songs, today’s selection ‘Bluebird’. 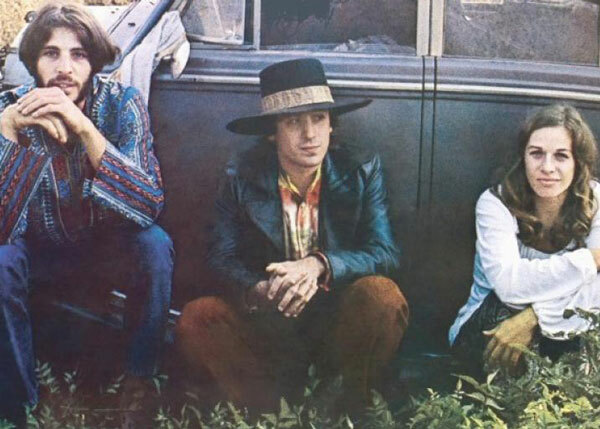 The Buffalo Springfield recorded no fewer than three versions (maybe four if you include the 45 edit) of Bluebird, including the epic nine-minute version that would appear on the ‘Retrospective’ collection from the early 70s, and the unreleased version that would only appear in an episode of the TV series ‘Mannix’ in 1967. 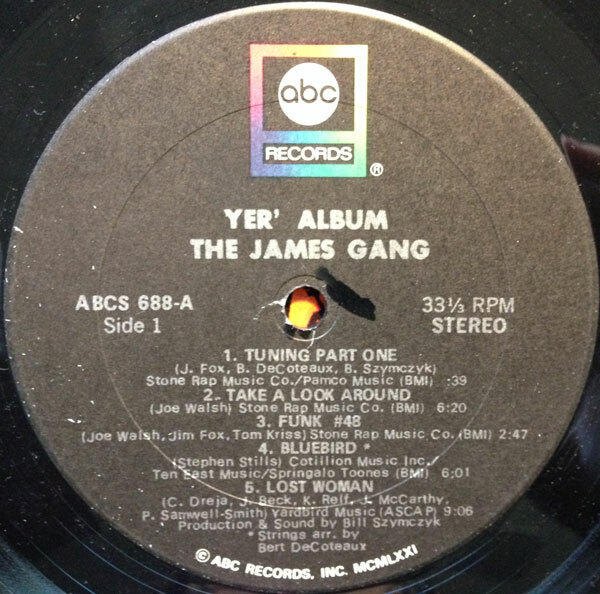 The James Gang’s first album exists (for me, anyway) in that sweet spot between early psychedelia and mud-encrusted, festival jamming excess, with a lyrical vibe that would soon be sacrificed on the altar of bluesy stomp (by pretty much every rock band of the era). The James Gang version opens with piano and orchestra, before the band comes in, quietly at around :25 with some backwards guitar, which gives way to power chords, bass and drums. 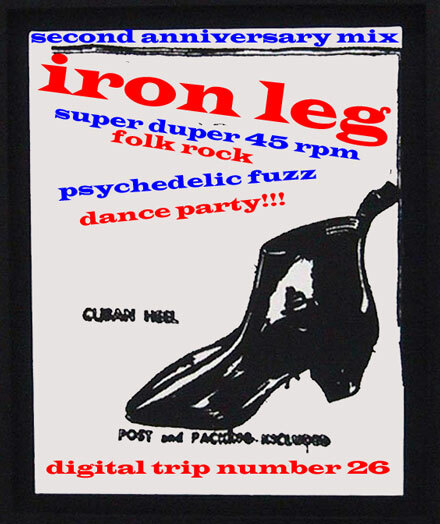 You get a little of the band’s patented, ‘Live at Leeds-y’ stomp, before things get quieter and open up into the verse. The James Gang translates the multi-layered guitar approach of the Springfield into a simpler, power-trio sound, but they do it with a tremendous amount of respect for the original. 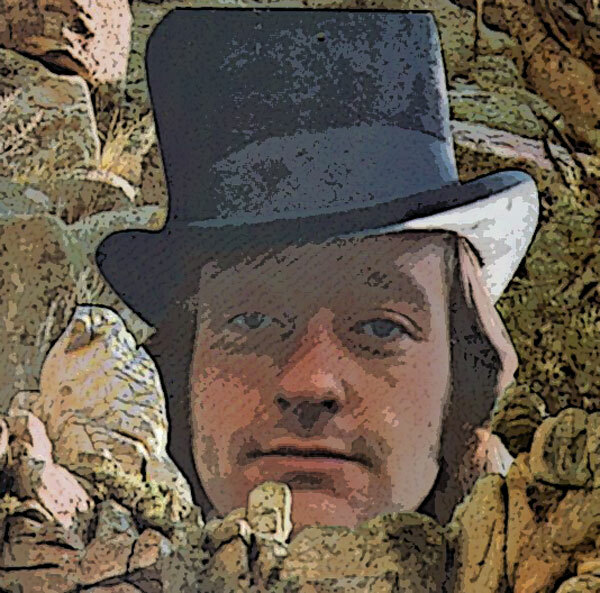 The sound gets suitably far out for 1969, with enough headphone juice (if you know what I mean and I think that you do) in case you want to mellow out and give things a close listen. The rest of the album is quite good, and ought not be too hard to find. The tune I bring you today is one of the finest moments from a brief and little known (outside of collector circles) chapters in the Carole King story. In the late 60s, King had relocated to the West Coast, and out together a group called The City, featuring King’s future husband, Charlie Larkey of NJ’s the Myddle Class, and Donny Kortchmar. 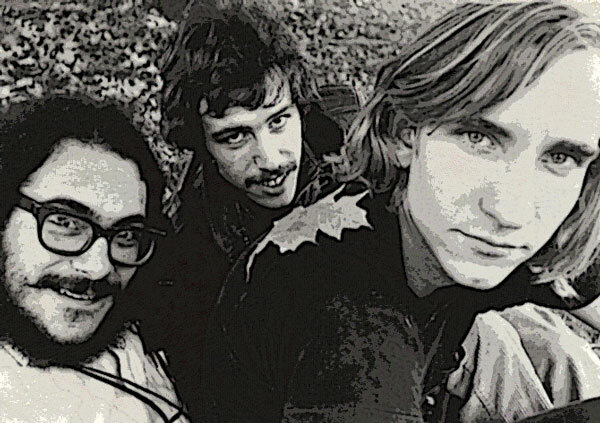 The group would record one album, filled with great, melodics tunes (some co-written by Larkey’s Myddle Class bandmate David Palmer, later to hook up with Steely Dan), which was – sadly – met with commercial indifference. 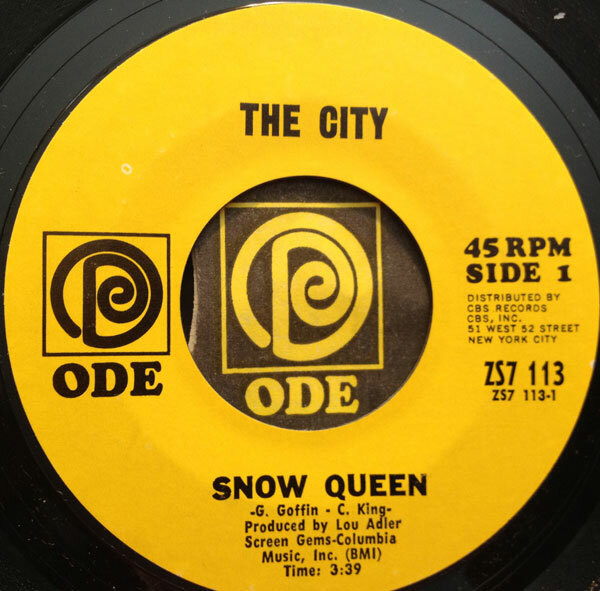 A few years back I was away on vacation in the Finger Lakes region of New York and managed to get in some excellent 45 digging, which yielded a pair of 45s by the City. ‘Snow Queen’, written by Goffin and King, had originally been recorded by the Roger Nichols Trio in 1967, and then again by Roger Nichols and the Small Circle of Friends in 1968 and went on to be covered by the Byzantine Empire, and the Association among others. The version by the City is a mellow, jazzy reading of the tune with drums by Jim Gordon and King singing lead (and harmony with multi-tracked versions of her own voice). It’s the kind of pretty song that should have been a hit, at least on the more underground end of things, yet it went nowhere. The City album ‘Now That Everything’s Been Said’, original copies of which are hard to come by and expensive – has been bootlegged (a black and white cover being the giveaway), but it was reissued by Light In the Attic.